In my opinion, a lot to like in this cover. Sam Kieth at the top of his game and three charismatic then villains, now anti-heroes or just straight up heroes: Sabretooth, Venom and Deadpool. No idea about the print run for this one, but as it's not a comic, I would expect it not to be very high. 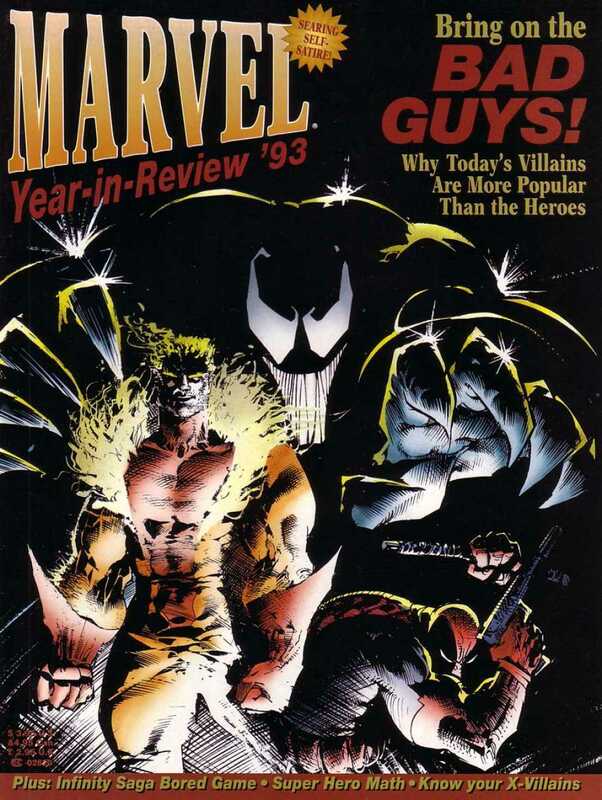 The content of the book itself is pretty forgettable, just Marvel laughing at itself, but there are some fun moments, as they unintentionally predict how stupid their comics would get in the mid-90s. If you like any of the three characters or you like Sam Kieth back in the early 90s, I think you might enjoy this cover. A cover not many people are talking about.